If you are in search for the best hotels near Halycon Castle Kovalam, then Gods Own Country Resorts is best for you. Halycon Castle often known as Kovalam Palace is one of the most beautiful mansions in Kerala. Halycon castle is just 11 Km away from Gods Own Country Ayurveda Resorts. Halycon castle is a symbol of the lifestyle of the aristocratic class in Kerala in the 20th century. 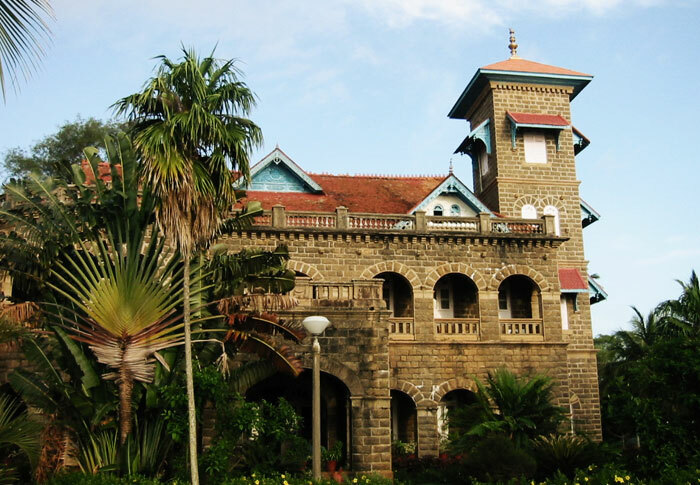 It was built in 1932 by Sri Rama varma valiya koli thampuran as a summer retreat for him and his family. In 1964 he sold the castle to Kerala Government and further got converted into a luxurious hotel. Today Halycon castle is considered as a heritage site and is frequently visited by tourists all the year round. Surrounded by sun kissed beaches and lush green river banks, this place, many people are inclined to visit the enchanting place again and again. Being the heritage site, people from all over the world visit halycon castle every day. There are so many hotels near halycon castle which provide best accomodation for the people who come to explore kovalam, among them Gods Own Country Resorts is the best. Built on authentic Kerala architechture, the resort itself is a major tourist attraction in Kovalam. Gods Own Country Resorts provide the best accomodation rates among the all resorts in kovalam. It is one of the peacedul resort where you can enjoy your holiday with much calm and peace of mind.